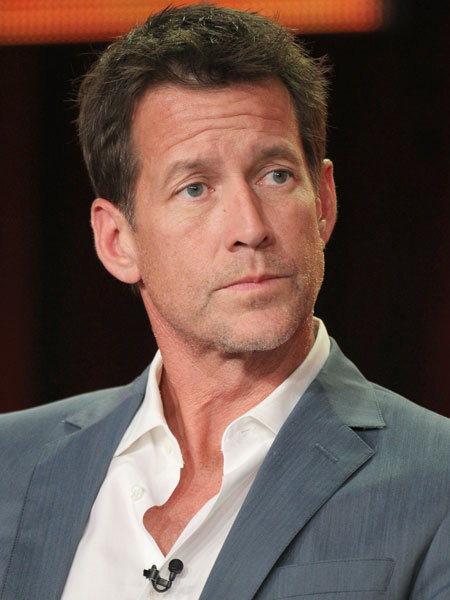 Executive Producer George Perkins took the stand in the Nicollette Sheridan wrongful termination and battery case, and when asked if any character as big as Sheridan's had been killed off, he revealed James Denton's character will die in this Sunday's episode. Perkins shifted uncomfortably in his seat before making the revelation, which drew gasps from a packed courtroom on Thursday. Two female jurors clasped their mouths. Denton, who plays Mike the Plumber, testified in the trial yesterday and briefly detailed his reaction to the death of Nicollette's character, Edie Britt. "I can't say I was shocked because people get killed so often," Denton told the jurors. When asked if he wondered whether his character will die, he replied, "Always." Sunday's spoiler wasn't the only piece of inside information Perkins reluctantly revealed. He was grilled by Sheridan's lawyer about conversations he and show creator Marc Cherry had about killing off other "Desperate Housewives" characters in order to save money. Perkins said Eva Longoria, Marcia Cross and Felicity Huffman were "safe," but said Teri Hatcher was "under discussion."